LMAO! It’s like Leave It To Beaver meets Mission: Impossible! Ha! Story of my life!! Thanks for laughing! Thank you! It really made me laugh when I got home and I even saved the note because it makes me laugh every time I read it! That is why I decided to share it on SweetSpot. Memories like this are the ones that last. Thanks for sharing! Yes, I agree! Thank you for stopping by and commenting! Yes! I would say it is really a necessity! So good to hear from you friend!! Your husband is funny!!! Does he know he’s got the starring role in today’s post? That oughta keep him in line for next time. LOL!! Ha!! True. He doesn’t know yet, but he will love it! Yes! They would never knowing trash the house, just on accident and usually with their Dad’s help – ha! Ah, Jim! I love it!!! Mr. Funny guy isn’t he! It made me laugh, too! Thank you for commenting! Oh Jim… that made my day! I will tell him! It made my day, too! Thank you! I will tell him you said so! I hope they still unloaded the dishwasher!…I love a family who’s doesn’t need to take life so seriously. Great read and really, really fun blog. I’ll be back. Thank you so much. We love to laugh to much to take things too seriously! 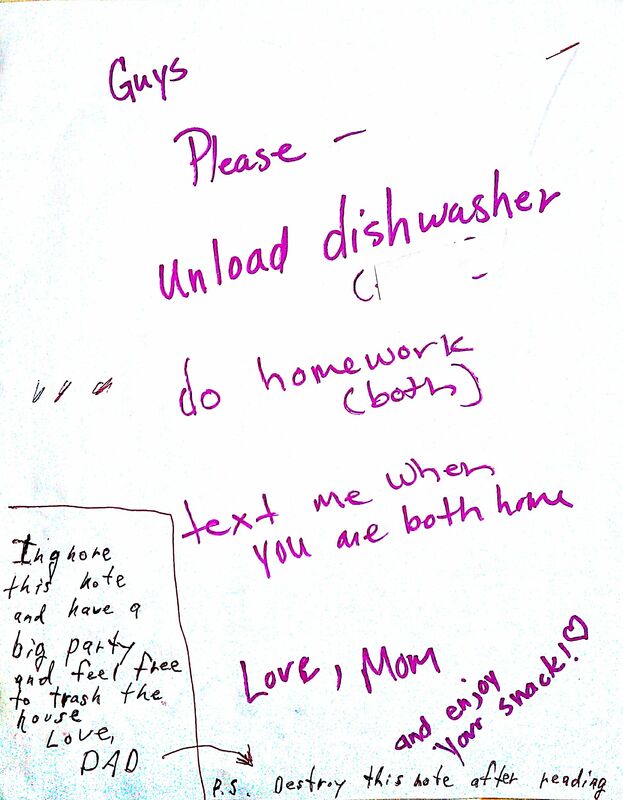 And yes, they did unload the dishwasher and do their homework…and only trashed the house a little!